Bible-based Christian formation resource for teens and adults - Author uses familiar stories from the Bible to illustrate parallels with our often dysfunctional contemporary attempts at relationships - Accessible, often humorous writing style - Will have cross-denominational appeal and market The author blends spiritual narratives and biblical stories with behavioral theory to explain modern family life and its unique contributions to faith formation. This book offers hope and encouragement for people who have thought that God could not possibly bless them in their peculiar relationships or families. 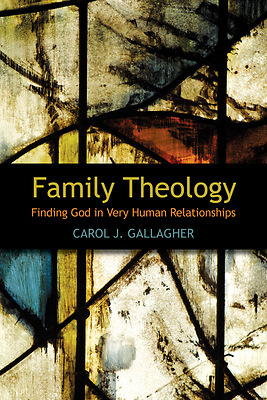 Using archetypes and behavior development frameworks while interpreting and retelling biblical stories, the book features both personal and traditional stories of faith, complemented by the contemporary insights of cognitive scientists, including Gardner, Eisner and others. Chapter Summary 1. Naked and Confused - Bad Parenting 101 Beginning with Adam and Eve, the process of growing realistic relationships. 2. Children in Conflict - We Barely Left the Garden Life among siblings and the challenges to be faithful in the back seat of the family car. 3. Inheritance and Tradition - Eating with Pigs Again The usurper, worthy heir, prodigal child and non-prodigal child in all of us. 4. Marriage and Fidelity - Finding Love in all the Wrong Places Jacob, David and a host of characters help us to understand what not to do in relationships. 5. Aging Gracefully - Only Martyrs Still Look Marvelous Biblical characters share the wisdom of aging and challenges of being ignored and silenced. 6. Embracing the Child of God - Time to Run with Scissors God's desire for us to embrace our unique creation and individual gifts.